Migration has been very slow throughout the Eastern Province this autumn with very few species and few birds seen. Last weekend at Sabkhat Al Fasl, whilst ringing, I flushed a few Water Pipits from some wet vegetation that were the first birds of this species I have seen this autumn. 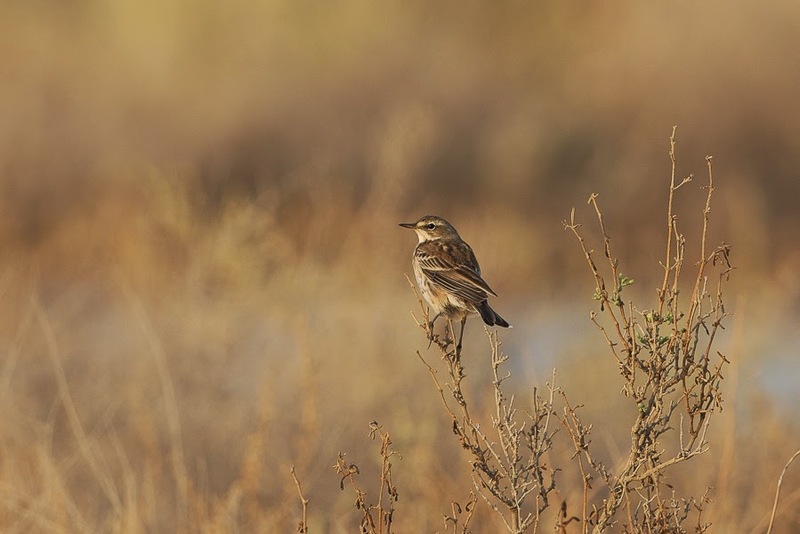 Water Pipit is a regular common wintering species in the area and occurs widely throughout the country. 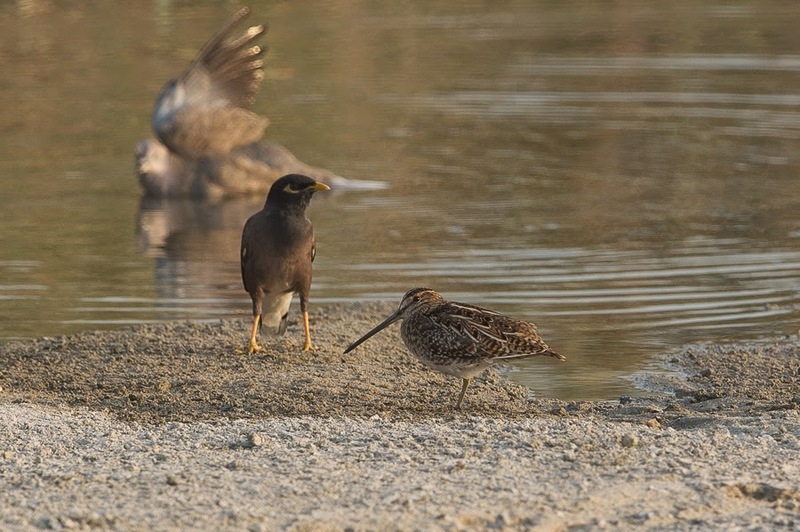 Even though I saw birds at Sabkhat Al Fasl it was five more days before I saw any on the ‘patch’ when five birds were found feeding around a flooded area of scrubby desert. The race of Water Pipit we get is coutelli. 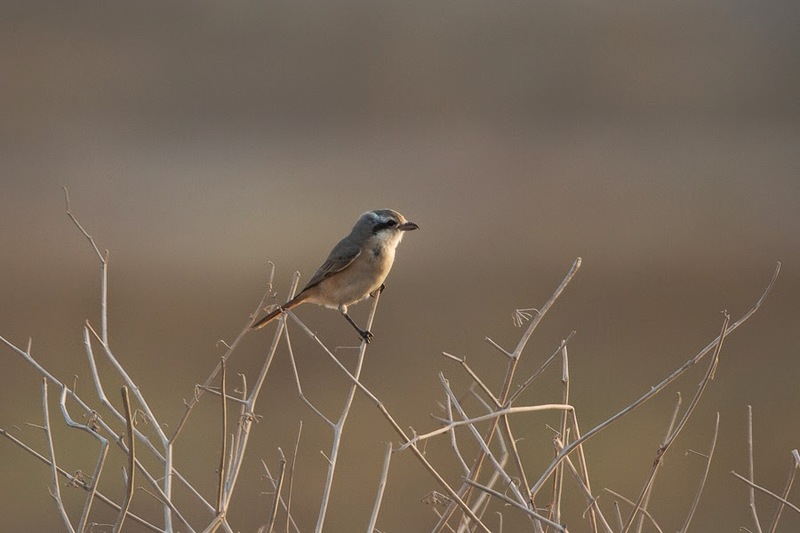 Otherwise birds seen in the last few days on the camp include several Daurian Shrikes, a single showy Great Reed Warbler in the scrub by the pond and plenty of duck still present. 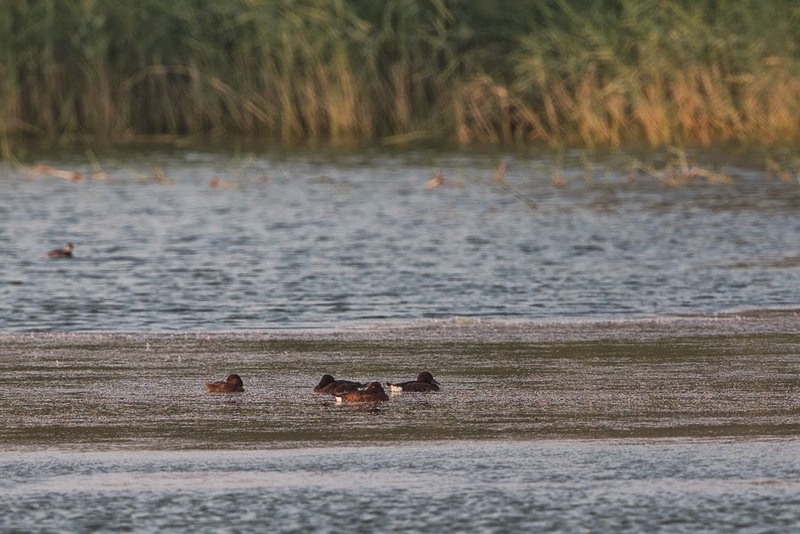 Highest counts were 21 Ferruginous Ducks, ten Common Pochard, six Eurasian Teal and 25 Northern Shoveller. Otherwise migrants were few and far between with 20+ Barn Swallows and seven Sand Martins over the pond and a Common Snipe and six Black-winged Stilts on the settling pond.